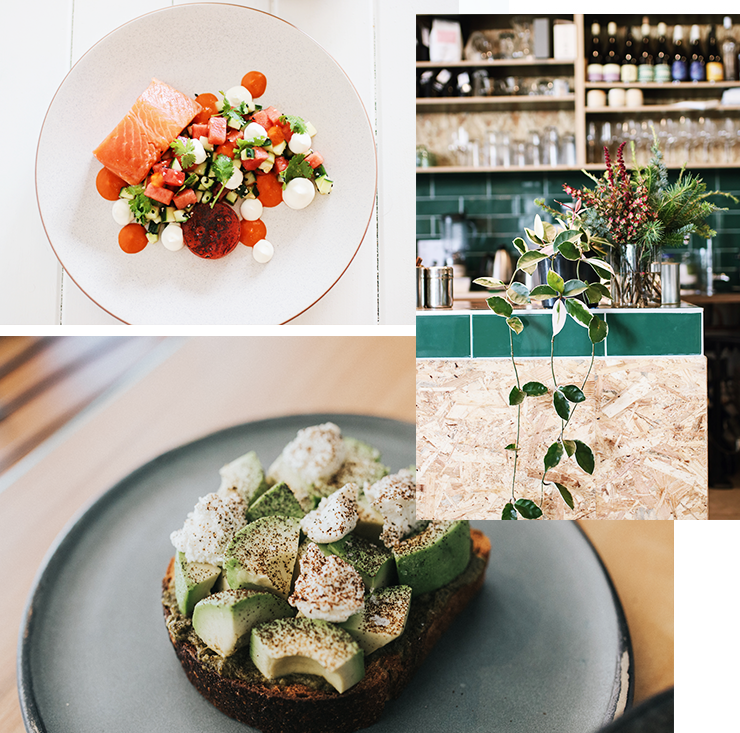 We're totally here for the whole ‘new year, new menu’ attitude of Brisbane's best cafes, but don’t you dare settle for a sub-standard start to your day. Launch yourself headlong into post-dawn endeavours with a turbo thrust that could upset Mercury’s orbit. You may be thinking, ‘whoa now, that’s a lotta power in a plate of eggs’, but after the socio-political hellstorm of 2017 let’s not take any chances. 2018 is the year to take back what 2017 took from us, so rather than resting on the laurels of avo toast (though don't get it twisted, avo on toast is iconic when done right), we recommend branching out. These are strange and tumultuous times, and the requisite intrepid spirit is not better primed than first thing in the morning. Ask for a side of maple syrup with your bacon sarnie, order that thing you can’t pronounce, or, if you’re ready to take on the heart-pounding anticipation of possible oblivion, look your server dead in the eye and just say ‘surprise me’. Here are just 20 of the best new Brisbane breakfasts to lash out with in 2018. 1. King Arthur's scrambled eggs with fermented chilli with sauteed greens..
2. ...Or their choc fudge brownie waffle with lemon curd, watermelon gel and honeycomb, we can't decide. 3. Grown Café’s homemade hash brown with roast tomatoes, avocado, wilted spinach, cannellini beans and confit capsicum sauce. Extra points for being gluten free. 4. The mushroom bruschetta at Just Earth with broccolini and pumpkin hummus. Add halloumi. Just do it. 5. Vvaldmeer’s hot smoked salmon with spiced pea pancake, smoked labneh, and some mustard greens, pickled radish and harissa for oomph. 6. Orange and ginger pancakes with stewed oranges, ginger biscuit crumbs, spiced double cream, ginger syrup and a whole vanilla ice cream cone on top at Jacaranda Coffee Lane in West End. 7. Goodness Gracious’s brisket, with mushroom ketchup, mustard greens, fig, eggplant, sweet potato chips and bread, is available all day. 8. Camp's mushroom toast with roast peaches, goat's cheese, basil pesto and pistachio dukkah. 9. Lokal + Co's toasted fig and apricot loaf with vanilla and rosewater ricotta. 10. Scout Café’s brekky bowl with roasted chilli corn, mango, black bean, edamame, red onion, coriander, lime and avocado dressing and a fried egg. 11. The Single Guys’ field mushroom brioche burger with halloumi and chipotle mayo. 12. The sticky date bircher at St Coco Café’s Sticky feat. oats soaked in almond milk with raisins, almonds, grated apple and cinnamon, and served with a cinnamon spiced poached pear, coconut yoghurt and caramel date sauce. 13. Same Same But Different’s ‘Pablo Diabolo’ of potato, sour cream and chive hashcake with haloumi, pulled pork, avocado, charred corn and black bean salsa, fried egg and green mole. 14. The cheeseburger jaffle at Seven South, complete with waffle fries and breakfastised with a fried egg. 15. The coconut and lime brown rice pudding, with fresh mango, fresh fig, caramelized fig ice cream, and shaved coconut from Wild Canary. 16. Something heartier is the LM Gringo from Lady Marmalade café, consisting of a chilli cheese cornbread waffle, with savoury mince, minced chorizo and black beans, topped with fontina cheese, sour cream and a fried egg. 17. Get weird with Gauge’s coal-grilled pineapple with labneh and sweet pistachio dukkah. 18. Jam Pantry's sweet toast with grilled figs, chevre, honey and pistachios. 19. Corn and zucchini fritters at Salisbury's Hedge Espresso with crème fraiche, halloumi, watercress and a poached egg. 20. The Smug Fig's hotcakes with lemon and lavender curd, fresh blueberries, vanilla crem, a dusting of cinnamon and peanut crumb. Because treat yo'self. Need to burn off that indulgent brekky? Here are Brisbane's best running tracks to get your heart racing.